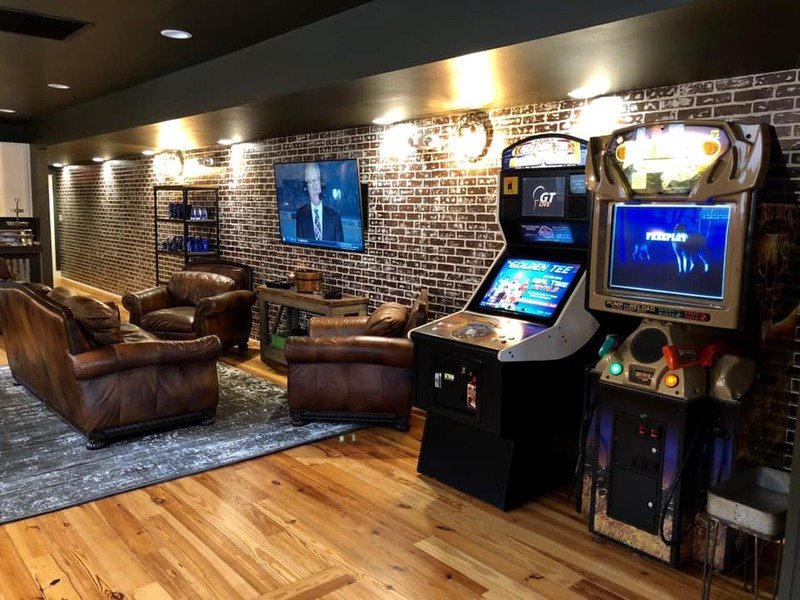 Haberdash is a lounge for the GROOM & GROOMSMEN! It is the perfect space for the guys to spend the wedding day. Haberdash is filled with flat screen TVs, game systems, pool, shuffleboard, air hockey, foosball, a poker table & more. The guys will enjoy a gourmet catered lunch with the option to include a Bloody Mary Bar, Bourbon Bar, & Cigar Bar. Haberdash has large dressing rooms, full bathrooms with showers, and men’s toiletries. The Haberdash staff is happy to offer steaming services for the suits and getting ready photos. The Haberdash rental includes use of the space for 3 hours with two staff members. Transportation for the group from Haberdash to the wedding venue is available upon request and based upon availability. Your groom & groomsmen will be talking about their experience at Haberdash for years to come. Inquiry today for rates and availability!